Nordic walking has health benefits in common with other forms of exercise walking, with or without poles. 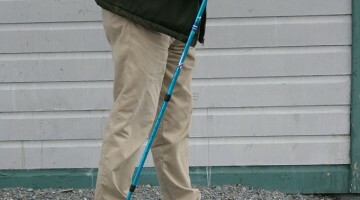 However, the actual poles and techniques used in Nordic walking seem to bring together a unique combination of benefits, and act as a prism magnifying the overall health benefits. Only a relatively small number of studies to date have been done on Nordic walking, as it is a brand new activity dating officially only from 1997. None of the following should be construed as health advice for you. The following should be regarded as an amateur, cursory overview of some of the literature to be reviewed by you and your health care providers and / or personal fitness consultants. 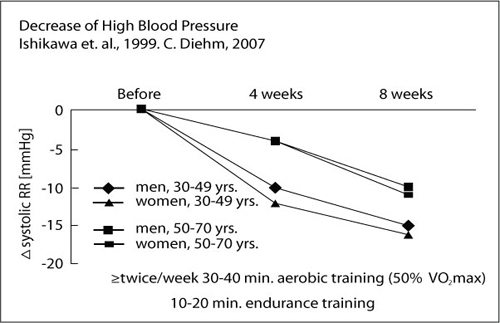 promote muscular endurance for physical activities such as running and jumping. 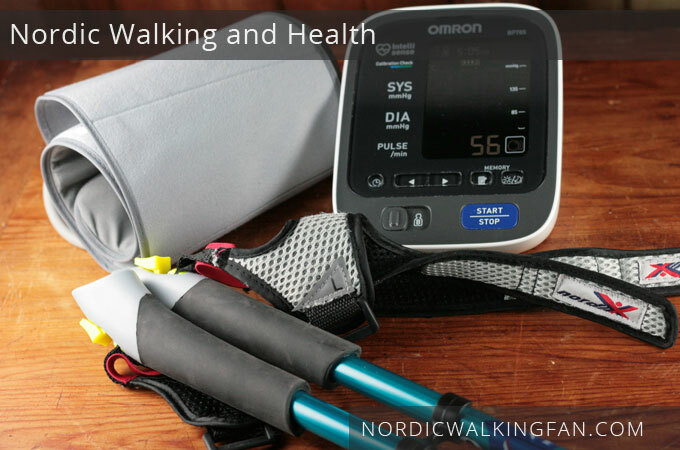 Thoughts vary on the topic of Nordic walking and joints. Some say that Nordic walking is very easy on the joints, because the poles help take some strain off knees and lower body joints, contributing to making you feel lighter. 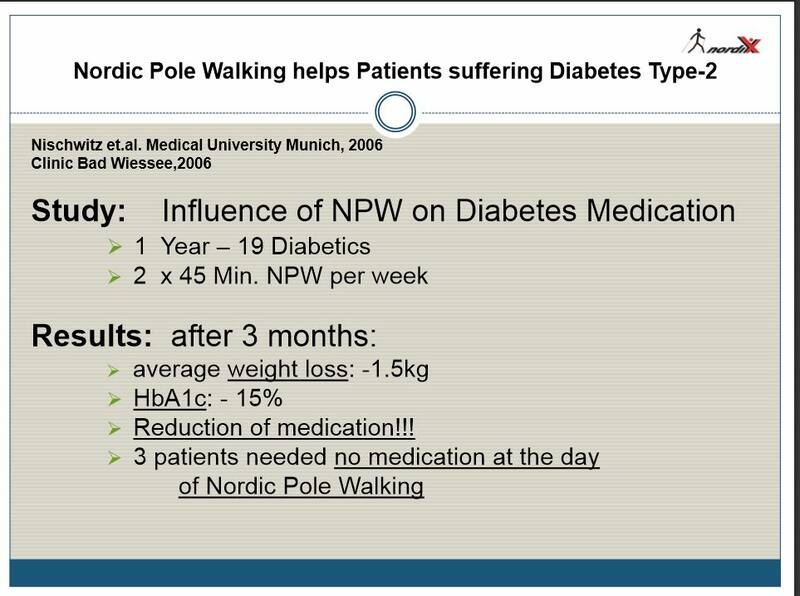 There is also some evidence that Nordic walking may help some people with diabetes. 17 People interested in this topic should consult their doctor and the literature more widely. Zurawik, Marta Anna. 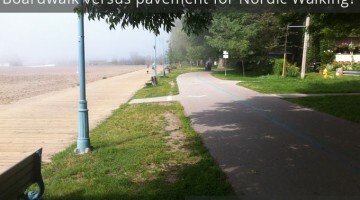 History of Nordic walking in Finland. Centre for Research for Health and Well-being, University of Bolton. Retrieved January 2014 from http://www.academia.edu/2969365/History_of_Nordic_walking_in_Finland. Dr. Klaus Schwanbeck. 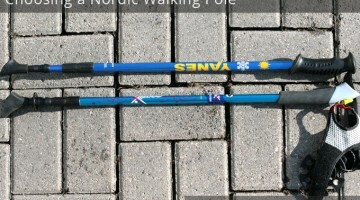 Nordic Pole Walking and Fall Prevention. Slide Presentation.